You can now plumb the depths of your camera roll for the disappearing posts. While Snapchat struggles to nab more users, Instagram is steaming ahead the only way it knows how: By copying Snapchat. The Facebook-owned service is adding a feature to its (vastly more popular) take on Stories that's all about throwbacks. 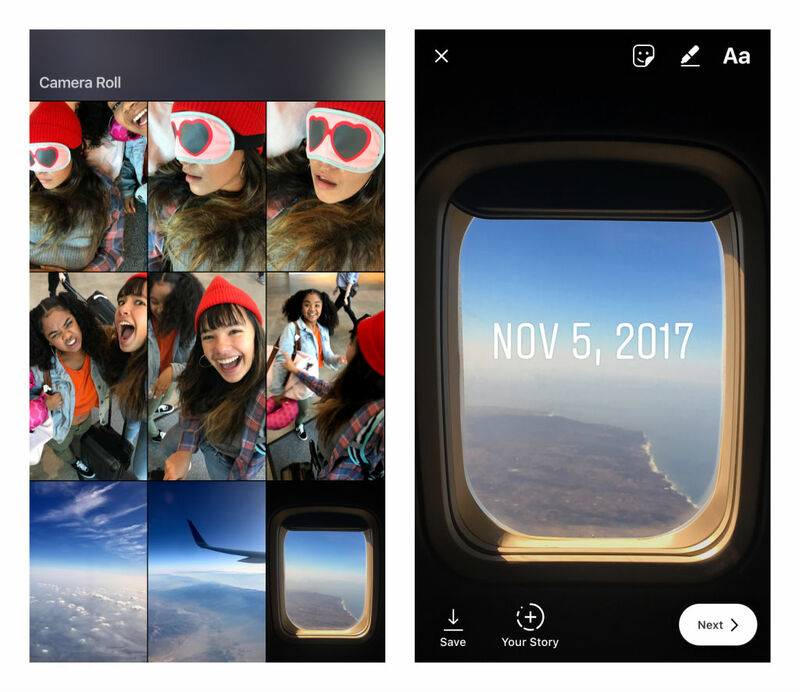 The update essentially allows you to add pics and videos to your Story that are more than 24 hours old -- a function that was oddly amiss in the past. That way, the entire camera roll is available for your disappearing #FlashbackFridays posts. When you add an image or clip that's older than 24 hours to your Story, it will come with a new date sticker. As usual, you'll have the option to resize, rotate, and move the date stamp -- or just bin it. If it helps, Snapchat fans can gloat that the feature has been on the app since the launch of Memories in June 2016. The Instagram update is now available on iOS and Android.